The study seeks seniors 85 and older who are socially active, engaged in hobbies, exercise regularly and are brain healthy. 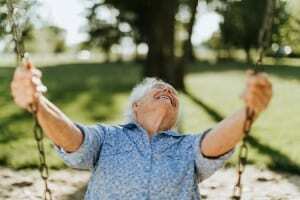 An innovative study by the Evelyn F. McKnight Brain Institute of the Department of Neurology in the University of Miami Miller School of Medicine aims to determine what factors contribute to successful aging in seniors 85 and older. “We are looking for super-agers who are socially active, engaged in hobbies, exercise regularly and are brain healthy,” said Tatjana Rundek, M.D., Ph.D., professor of neurology and public health sciences, and the principal UM investigator for the collaborative McKnight Brain Aging Registry study. “While there are numerous studies about disorders of aging, such as dementias, few have focused on healthy individuals who maintain their cognitive abilities,” added Dr. Rundek, who is executive vice chair for research and faculty affairs in the Department of Neurology, scientific director of the Evelyn F. McKnight Brain Institute, and the Evelyn F. McKnight Chair for Learning and Memory in Aging. The UM researchers have begun enrolling about 50 South Florida study participants age 85 and older. Each of the other three McKnight Brain Institutes, at the University of Alabama at Birmingham, University of Florida and University of Arizona, will also enroll 50 participants. Participants will be given assessments measuring their attention, working memory, comprehending language, calculating, reasoning, problem solving and decision making. A magnetic resonance imaging (MRI) scan will be taken of the brain and analyzed. “We will also be asking questions about their lifestyles and habits to help determine how they have stayed so healthy,” said Merritt. Dr. Rundek said the McKnight study is particularly important since the U.S. population of older adults will continue growing in the next decade. The National Center for Health Statistics estimates that 16 percent of men and almost 30 percent of women age 50 will live to be 90 years old. For more information on the study, contact Stacy Merritt at s.merritt@med.miami.edu or at 305-243-1386. See the Brain Health for ‘Super’ Aging Seniors flyer!